IHeart Organizing: IHeart: The OddJob & a GIVEAWAY! 324 IHeart: The OddJob & a GIVEAWAY! 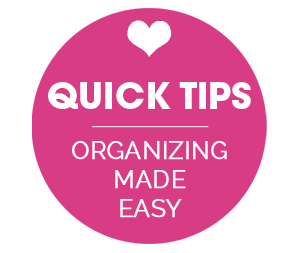 Part of being organized, is finding ways to simplify your life. And sometimes that means paring down and looking for multifunctional pieces and tools to save space. That is where this week's giveaway sponsor comes in! The OddJob is unlike anything else on the market today in that it rolls 11 of the most common household tools into one! It serves as a hammer, mallet, nail puller, ratcheting screwdriver with seven bits and flexible extension, and retractable utility knife, while still fitting into a small bag, a kitchen drawer, or a glove box. As it's name suggests, the OddJob is handy for assorted tasks - from hanging pictures, to assembling toys and furniture, to opening boxes, to replacing cabinet hardware. It is also useful for projects in the garage, shed or backyard. Here is what the product manager for Crescent has to say about the OddJob, "Before the OddJob, you'd have to rely on a variety of separate tools. For someone who doesn't use a lot of tools, that creates unnecessary clutter and the opportunity for things to get lost." 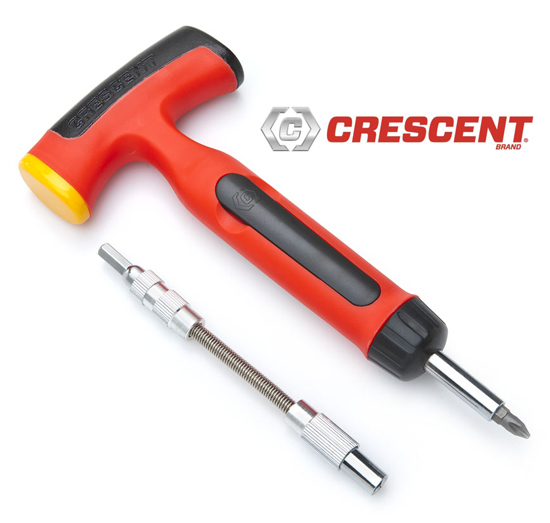 The kind folks at Crescent are stopping by today to giveaway a few of these marvelous tools! The OddJob is available for purchase here. IHeart Organizing official giveaway entry rules can always be found here. My most-used tool is probably the screwdriver. Not only do I use it to (obviously) screw things that come loose (my old pot handles, all the time! ), but I pry things open, and have been know to occasionally use the handle as a hammer when I was too lazy to go get an actual hammer! What handy little tools! I think my favorite tool is a screwdriver. I use it for numerous things, including opening paint cans. I guess my favorite would be a screwdriver. There are a few loose screws around this house and once I get started on one I just can't stop until they are all tightened. It is the one tool I hide so that the husband doesn't put it some place where I cannot find it. Probably my screw driver...I used it all the time when changing batteries in things. I'm a huge fan of the hammer. How would I hang my pictures without it?! My my favorite would be a heavy duty stapler- it hides a multitude of sins! I have one of those interchangeable screw drivers where you can change the tip as needed. That thing goes everywhere! I always seem to need a screwdriver and it is mostly to change batteries. My hammer is my most used tool, with how often I change my decor on my walls. The screwdriver... It's needed so often and has so many other uses. I love how this screwdriver can bend into hard to reach areas! Haha - I was going to say exactly what JA said! I love our little screwdriver, since we are constantly changing batteries in our little guy's toys. what a great holiday gift for my dad! The tool I use most often is a screwdriver, but I love having a hammer handy in the house instead of going to the garage to find one. My favorite tool is my tiny screwdriver that has two different heads. Perfect for opening toys and replacing batteries!! It would probably be my screwdriver. It becomes a hammer at times too...but not meant to at all! I would say screw driver as my little boys are always loosening things around our house. I use probably all of those things about the same (maybe not the nail puller, though I definitely need one with plaster walls!). What a fantastic way to reduce clutter! Even if I won one, I think they'd make fantastic Christmas presents for my extended family. This is such a cool idea! My favorite is probably the hammer...good stress relief! In my first apartment my favorite tool was the needle-nose pliers. Being a basement apartment, we had bugs and the pliers were perfect for moving them to the bathroom for a watery grave. Now I have a whole toolbox of real tools and an entire house that needs them. But I was thinking the OddJob will be perfect when I taking my Girl Scout troop camping. There's always something in the lodge or cooking shelter that needs a little fix. Leave things better than you found them, you know? My favorite has got to be the hammer! I love rearranging paintings, so its pretty important! I can never find the hammer or screwdriver, since my dear hub leaves them in random places. Please let me have my own- all in one. Purty please! I love tools. I actually created my own toolbox years ago and I think I use my tape measure more than anything. This tool would go right in there next to it. This would be so neat for me, as a woman who doesn't like rummaging through my husbands tools! kitchen scissors for many things from opening bags to cutting up chicken. I love my pocket knife. It has a bunch of tools that work great, but it is missing the hammer and mallet! I use my screw driver all the time. . . I have a hammer that can be taken apart and there are several different sizes of screwdrivers. I would say this has to be my favorite tool. Thanks for the great giveaway. My mini-screwdriver! I have three boys (and one easy girl) and I am constantly unlocking doors, untying knots, replacing batteries, and digging out stuck items. I use that screwdriver all the time!!! My favorite is a screwdriver, but sons is a hammer. I have to take apart all the stuff he hammers things into. Oh boy. the screw driver since all my kiddies toys pretty much require batteries. the screw driver...I use it for opening everything...especially changing toy batteries. That tool looks awesome. I have many projects where it would have come in handy. I use my tape measure all the time. I use mt tape measure all the time. My favorite, most-used tool is a mini-screwdriver. I use it to change all the batteries in my kids' toys! A butter knife is my most commonly used 'tool'. 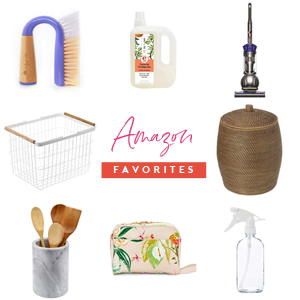 I use it to open letters, pry open mason jar lids, as an ice pick when the ice sticks together, a screwdriver for battery compartments, to fish things out from under and beside the oven, and to clean tiny crevices. My recent faves are the pliers. Our bathroom faucet was broken, and we had to use the pliers in order to open the cold water tap. What a great little tool! My favorite tool is the screwdriver! So many uses for them. I love that this tool can replace so many and save room in my overcrowded tool drawer. My favorite would have to be the bendy screwdriver. Probably our hammer. I love to hang pictures (just ask my husband)! My most used tool is my multi screwdriver. It has a floral handle and two different size bits. My fav tool is my multi screwdriver. It has a floral handle and two different sized bits. Oh -- sounds like the perfect tool! My favorite tool would have to be a multi-head screwdriver, so this somes like another great multitasking tool! I love using a hammer around the house. I feel so powerful! That's a tough one, but I use my screwdriver a LOT! That would def have to be my favorite tool. I love my cordless drill! I love my staple gun. I know that seems silly but it's saved my cheep walmart bookcases too many times to count! Great to add to my household tools! my favorite tool is my miter saw. so fun to use! Seriously that is the coolest tool ever! It would be so useful for easy storage in a small apartment! My power drill is a lifesaver! Well isn't that the coolest thing? I'm curious to see the bendable screwdriver in action! I love my all-in-one paint tool - opens the can, scrapes, closes it, etc. etc. I've been looking for something like this—perfect! My hubby's drill...he can do ANYTHING with that thing! 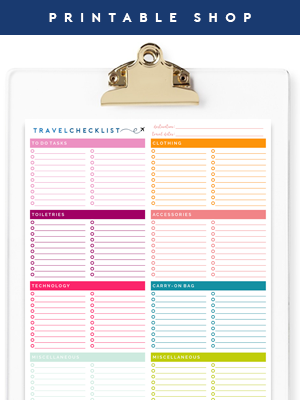 This is very cool and would really simplify my life! 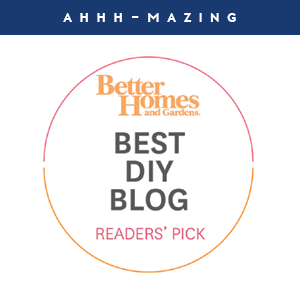 I can never seem to keep all of my tools in one easy-to-find place (that may have something to do with sharing them with my husband :)) so this sounds amazing! My favorite tool around the house is the hammer. This is perfect! I usually use my screwdriver for all of those things! I'm known to just use anything around for a hammer . . .
Love this! I usually just use whatever is laying around for tools - oops! We use a screw driver the most with assembling and unassembling toys and other household objects. Thanks! This would be great for the train table we need to put together on Christmas Eve! What great tool! Thank you! I probably need the screwdriver the most often!! This looks like a great do-it-all tool!! Thanks for the giveaway!!! My favorite household tool is the hammer because I've been hanging up a lot of really cool art pieces recently. Woohoo! Hammer for sure! Its just so versatile! This tool is so awesome!I really want one! For me, it's got to be my cordless drill. It's a lifesaver for someone not handy who lives alone! Screwdriver. I bought one just for me, but it's always being borrowed by various members of our family. It's got to be my cordless drill - it is a life-saver for a klutz who lives alone! Can't go wrong with duct tape and a hammer! This tool looks amazing, and could really come in handy around my house! It's a tie between my Ryobi cordless drill, which I use as a driver all the time, and my spray paint handle, because I am always spray painting something. This little tool makes it an easy job! Duct tape is my go-to tool! My favorite tool is a pair of hemostats. You can get into tight spaces and get a tight grip on it to pull things out. A must with 4 little ones! My favorite tool is a pair if hemostats. You can get into tight spaces and get a good grip on things to pull them out. A must with 4 young kiddos! I love the idea of having so many tools in one, but my biggest fear is that my lovely husband would loose it as he has a tendency with hand tools. I think probably my hammer - which is always missing!!! A hex wrench because most ikea furniture requires the use of it. Our most used tool is a screwdriver. I need this just for the flexible part! That would have kept my husband from some expletives when I asked him to hang the last curtain rod!! I would love to win! But if I don't, I am probably going to have o buy one! My favorite is my kobalt screwdriver that ratchets. It makes jobs so easy! Screwdriver. I'm always using it to open paint cans or tighten cabinet hinges. Also useful to open boxes! I would love to have an all in one tool though. I am always running up and down stairs trying to find where my husband put the tool I need. My favorite tool is the screwdriver because it is the most used tool in out house. I don't know if this counts, but a paintbrush is my favorite! This would be awesome. Especially since I'm selling all my tools (Sad Face) because I'm moving cross country in a few months. Cordless drill! You can use it for so much! A screwdriver! Because I find myself needing it the most (& never knowing where it is). My husband is always busting me for taking off my clog ad using it as a hammer! The drill... It does it all! The drill... although it would be nice if it were charged more often. I use my set of minI screwdrivers most often. Seems like something always needs new batteries around here. Thanks for the chance to win an Odd Job tool! It would be perfect for my son to use in his new apartment! The Odd Job tool looks great for use in an apartment, so it would be perfect for me! I have some random giant adjustable wrenches that get used most often....however they are used as a hammer, not for their intended purpose! Great giveaway! I love my miniature screwdriver set. It seems that all the toys the kids get have the tiniest screws on their battery compartments! I would use it as a hammer or Screwdriver! My favorite household tool is our hot glue gun, I use it for crafts and small repairs. That tool looks pretty snazzy! 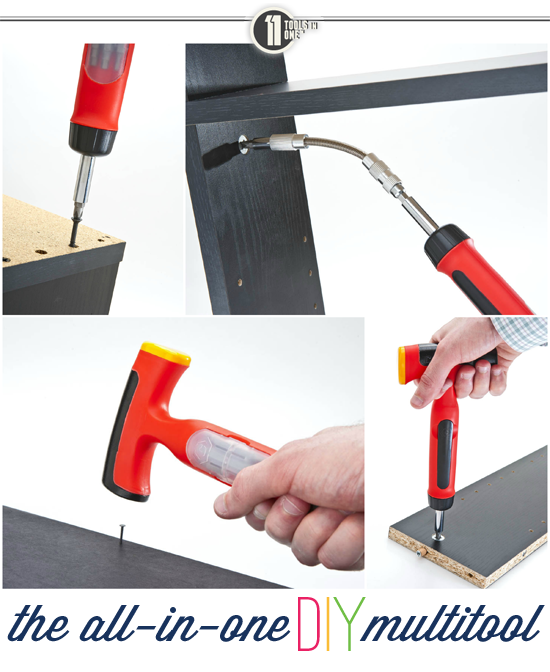 Our fav tool is the screwdriver that has the bits built into the screwdriver itself for easy changing! I love the bendy extension piece, that is such a good idea!! I use a scissors the most. I use scissors every day and would love to win this! phillips head screwdriver by FAR. I think I use it daily and not always for its intended uses. I think this multi tool is amazing! The drill is my favorite household tool. I use it all the time! My favorite tool is the drill. I use it all the time! Favorite is probably my srewdriver - seem to use it a lot. This tool looks awesome - lovin' it! My favorite is my hot glue gun! We are always using a screwdriver to change batteries in toys! My most used tool would be a hammer & nails (: followed by a screw driver. Can i tell you how often we misplace one or more of these tools you're giving away! all-in-one?!? brilliant!! I love the scredriver!! There is just something wonderful about using it! my favorite tool is kitchen shears! they're so handy! I love our drill. We use it all the time. But this multi tool would be great too. Great giveaway!!! My dremel multi-tool is my fav! I love my toolkit that came in a pink case (I'm the handy one around our house). I'd love to win one of these! Sooo many tasks I could use it for. My favorite tool is my screwdriver of course. I keep on upstairs and one in the garage so I never have to run around to find one. My stainless steal cooking pot. I know this is not technically a tool, but I love it! Non-toxic and the perfect size for everything I need to get done in the kitchen. Most used tool is a screwdriver. We have many in the house so I never have to go searching for one. Most used tool is a screwdriver. We have many in the house so I never have to go searching! My husband is a computer guy so he has all these teeny tiny screwdrivers that are seriously awesome to use around the house!! My favorite tool is my drill! Definitely the electric drill! Not sure how we would manage without one. Our mini screwdriver is the most used.. Most of the toy battery covers have those tiny screws and I'm always changing batteries! We are not very talented when it comes to tools, so having multiple tools in one would be great! My favorite tool is a mini screw driver that I keep in my kitchen drawer. My screwdriver with the interchangeable head is my favorite household tool. I don't need a drawer full of screwdrivers! The same one works for all my little jobs around the house. I would love to own one of these tools. At the moment I own a hammer and 2 phillips screw drivers - oh, and I have a box of box cutters. I steal the screwdriver from my sewing area all the time as I never have one handy! My favorite tool is a screwdriver. A lot of things can be substituted for a hammer, but a phillips head screwdriver can't be duplicated with household objects. Scissors are such a great tool! I would totally love to have this! 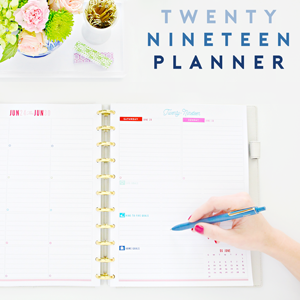 It beats digging through my tool bag for one little thing on a day-to-day basis. I definitely use our screwdriver more than anythiing. So many battery compartments to open! My glue gun. I can fix just about anything. We have a whole drawer in our kitchen devoted to various and sundry tools. All needed, but a waste of valuable kitchen real estate. this tool looks like it would be a great replacement for many of these tools and give me back some space in that kitchen drawer! Gotta go with the screwdriver. I keep one in my desk and use it mostly for putting new batteries in the toy train. I love screwdrivers. So multifunctional! My favorite tool is my hammer - I use it in scrapbooking, decorating, etc as it is a tiny toy hammer that my I have had since my son was little - 27 years.